* 2 to 3 persons: Two to three adults or two adults and two children. ** The Tourist Tax is included in the price of the stay. 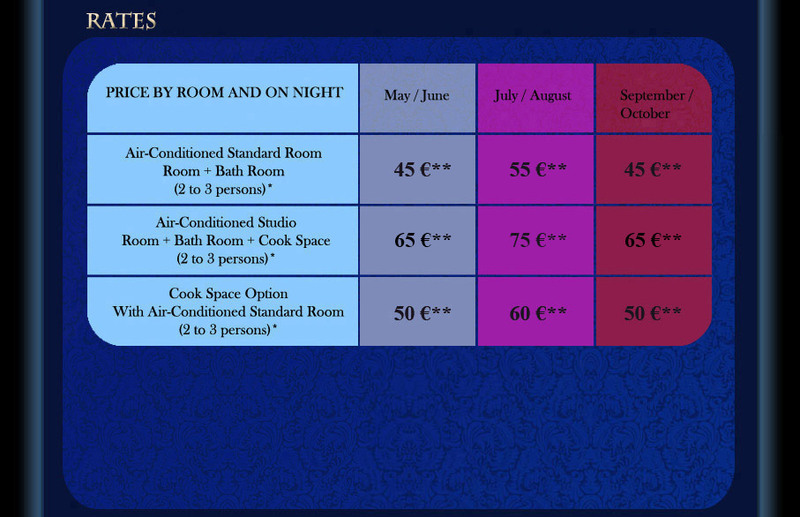 For any booking of lower stay in three days, rates will be increased by 10 euro. The credit cards are not accepted at the moment.